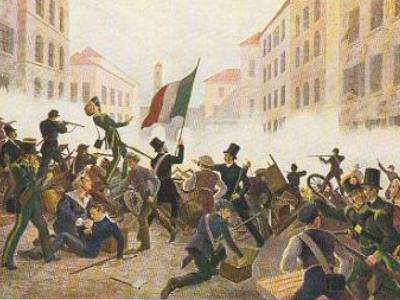 The Five Days of Milan, one of the most significant episodes of the Risorgimento, began on this day in 1848 as the citizens of Milan rebelled against Austrian rule. More than 400 Milanese citizens were killed and a further 600 wounded but after five days of street battles the Austrian commander, Marshal Josef Radetzky, withdrew his 13,000 troops from the city. The 'Cinque Giornate' uprising sparked the First Italian War of Independence between the Kingdom of Sardinia and the Austrian Empire. Much of northern Italy was under Austrian rule in the early part of the 19th century and they maintained a harsh regime. Elsewhere, governments were introducing social reform, especially in Rome but also in Sicily, Salerno and Naples after riots against the Bourbon King Ferdinand II. Ferdinand, ruler of the Kingdom of the Two Sicilies, and Charles Albert (Carlo Alberto) of Savoy, in the Kingdom of Sardinia, adopted a new constitution, limiting the power of the monarchy, and Pope Pius IX in the Papal States followed suit a little later. The response of the Austrians was to seek a still tighter grip on their territories in Lombardy-Venetia, where they imposed tax increases on the citizens and sent out tax collectors, supported by the army, to ensure that everybody paid. There was a warning of what lay ahead in January 1848, when Milanese rebels organised a boycott of gambling and of tobacco, which were government monopolies and a major source of revenue. Fighting broke out between rebels and Austrian soldiers, who ultimately quelled the trouble by charging the crowd with swords and bayonets. Peace was restored but trouble exploded again in March, when news reached Italy that riots in Vienna were threatening to overthrow the Austrian prime minister, Klemens von Metternich. An anti-Austrian movement quickly spread through the city and gained widespread support. 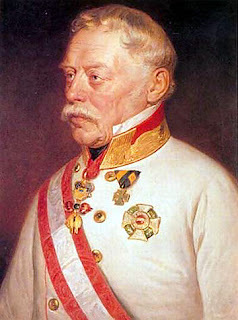 The Austrian garrison mobilised in response under the vastly experienced Radetzky, whose tactical astuteness had not diminished, even though he was in his 81st year. Yet such was the fierce passion among the local people to rid themselves of Austrian rule, with even priests joining the street battles and farmers from the surrounding countryside arriving in numbers to give their support, that the Austrians, weakened after Radetzky had been forced to send some of his troops to Vienna, sought an armistice. When it was rejected, Radetsky felt obliged to act to minimise his own losses and at the end of the five days, on the evening of March 22, he began a withdrawal to the Quadrilatero, the a four-cornered area between Milan and Venice guarded by fortresses at Verona, Legnano, Mantua and Peschiera del Garda. A provisional government of Milan was formed and presided over by the podestà (mayor), Gabrio Casati, and a council of war under the political writer, Carlo Cattaneo. The following day, March 23, Charles Albert of Savoy declared war on Austria, launching what became known and the First War of Italian Independence. As a memorial to the victory of the rebels, the official newspaper of Cattaneo's temporary government was given the name Il 22 marzo (March 22). A monument to the uprising by the sculptor Giuseppe Grandi was built at what is now Porta Vittoria. Soon after the Milan riots, an insurrection in Venice led by Daniele Manin, a lawyer, also succeeded in ejecting Austrian forces and a new Republic of San Marco was proclaimed. However, the First War of Italian Independence, which lasted a year, ended in victory for the Austrians, who won decisive battles at Custoza and Novara, resulting in the Kingdom of Lombardy-Venetia being returned to Austrian control. Formerly known as Porta Tosa, the eastern gate in the old Spanish Walls of Milan, Porta Vittoria was the first strategic position to be taken by the Milanese rebels during the Five Days. It was renamed Porta Vittoria in 1861, when Italian unification was completed. The gate was demolished in the late 19th century and an obelisk designed by Giuseppe Grandi erected in its place and inaugurated on March 18, 1895. 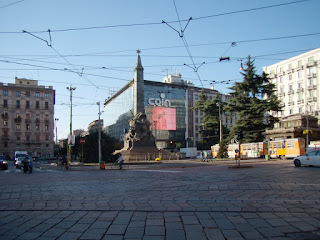 The square is now called Piazza Cinque Giornate. 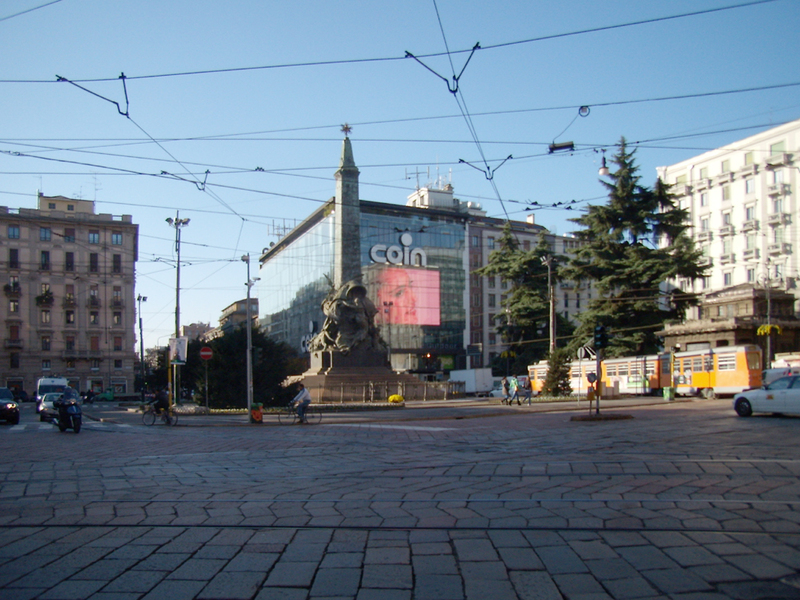 Nearby streets and squares are named after heroes and prominent events of the Risorgimento and the Five Days. 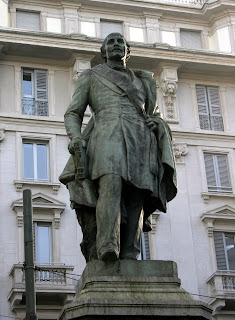 The significance of Carlo Cattaneo in the history of Milan is commemorated in the Carlo Cattaneo Institute of Higher Education in Piazza Vetra in the historic Corrobbio district, which has Roman origins, to the south-west of the city. Cattaneo, strongly republican in his politics, was a philosopher and writer and a former member of Carbonari, a network of secret revolutionary groups. 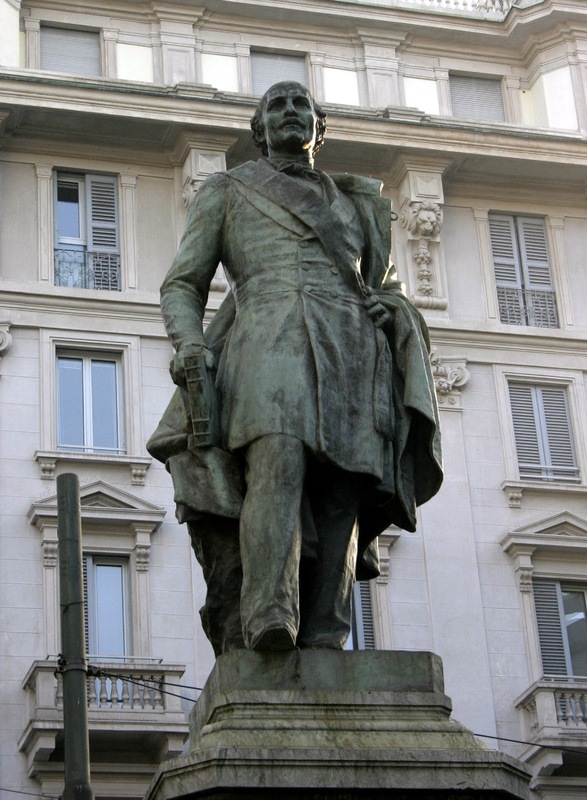 There is a statue of Cattaneo in Via Santa Margherita in central Milan, close to the Duomo and the Galleria.